Grapefruit Beer, breakfast of champs…. 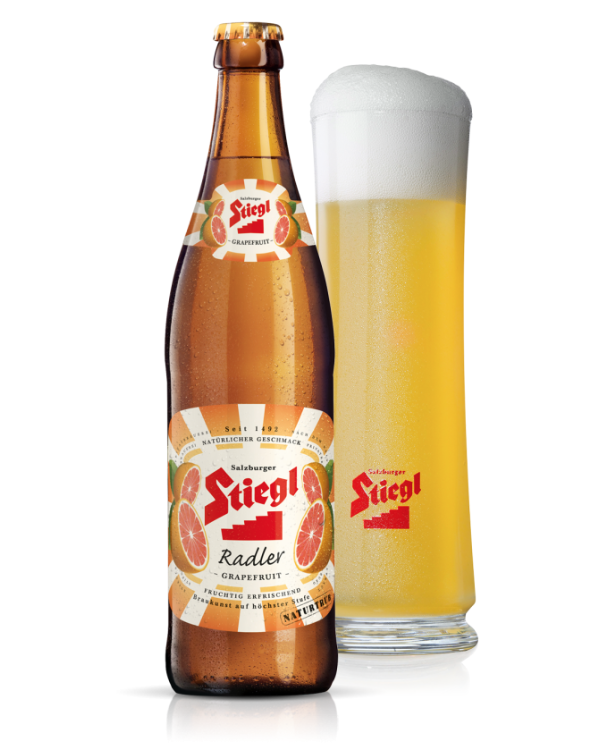 I tried Stiegl Grapefruit Beer tonight, and it was really refreshing, delicious and curiously thirst quenching. The grapefruit flavor is right out in front and is the perfect compliment to the beer. Sure, it’s not a manly-man IPA, but it’s one that I can drink without grimacing. It’ll be perfect for days on the lake, or after a day of skiing. Posted in Beverages, Fruity, liquor and tagged austrian Beer, Beer, Grapefruit, grapefruit juice, Stiegl Grapefruit. Bookmark the permalink.